The FI-Amp8 is a state of the art 8 channel Class D amplifier providing 240 Watts per channel at 4Ω. 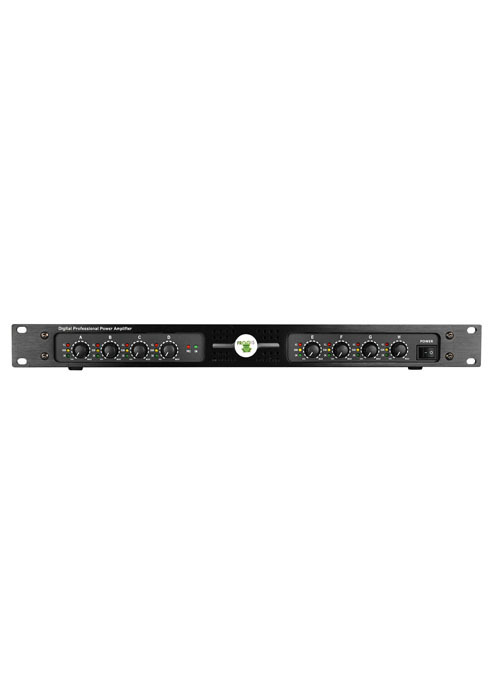 It provides 8 x front panel access volume control allowing zone level adjustments directly from the Amplifier. 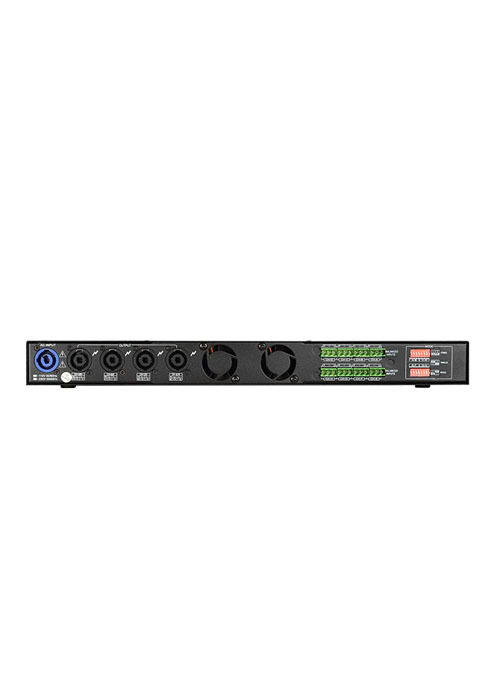 The FI-Amp8 is designed for use in a wide variety of installations: from a simple setup in a bar/ restaurant or a corporate meeting room to being a part of a larger audio system in a theater. Pairs of channels may be individually configured to run in Stereo, Parallel or Bridged mode. Class D technology greatly improves efficiency to over 60%. Higher efficiency not only means the amplifier will require less power to run, but will dissipate considerably less heat. As a result, the amplifier is much smaller in size, saving precious rack space in an installation. Lower heat dissipation also reduces stress put on each component part in the amplifier and will prolong product life of the amplifier. Front: On/ Off Switch, 8 x Volume Ctl. W 483 mm - 19"
H 44,45 mm - 1,8"
D 355 mm - 14"